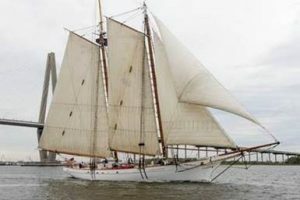 Your Chance to Tour a historic Tall Ship! *There is a 50 person limit on the boat at any one time. 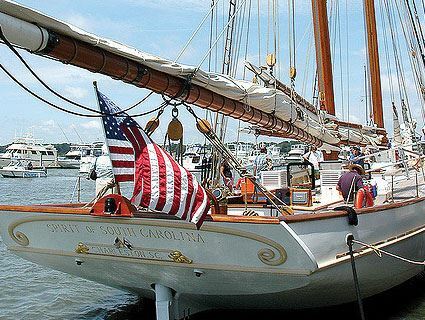 The Spirit of South Carolina, completed in 2007, is a two-masted pilot schooner modeled after the Frances Elizabeth, a vessel that was originally built by Samuel J. Pregnall & Bros. Shipyard in Charleston in 1879. The ship is dedicated to offering a unique educational platform for the youth of the Palmetto State. The hands-on programs offered aboard are designed to challenge and engage students while promoting responsibility, teamwork, and stewardship for both their community and their environment. Real estate developer Mike Bennett and luxury car dealership owner Tommy Baker, member of The Citadel Class 1972 and namesake of the college’s Tommy and Victoria Baker School of Business, saved the ship by purchasing it at foreclosure auction, keeping it in its home waters. 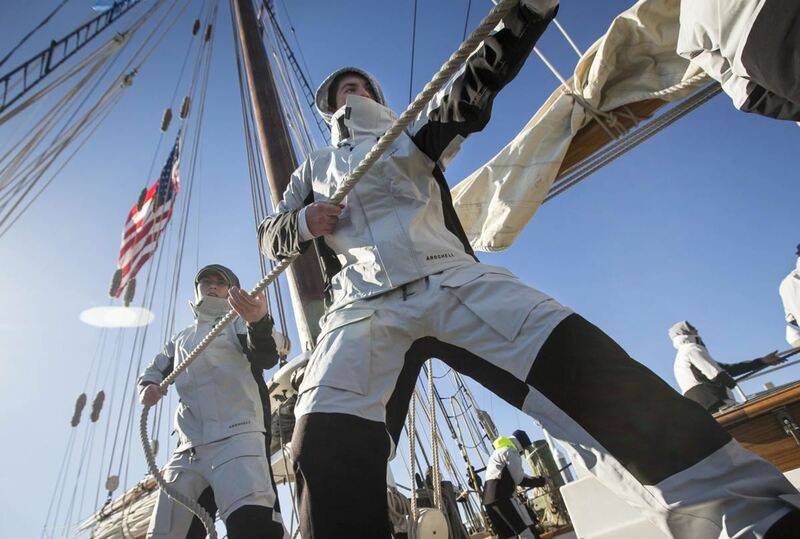 The two underwrote an extensive refit to ensure that the ship would be seaworthy for U.S. Coast Guard inspection, finally donating the ship to the nonprofit Spirit of South Carolina, Inc., to ensure that it will continue its mission of experiential education. 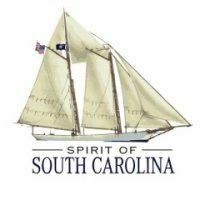 For additional information about the Spirit of South Carolina, visit spiritofsc.org and follow the ship on social media, on Facebook and on Instagram. 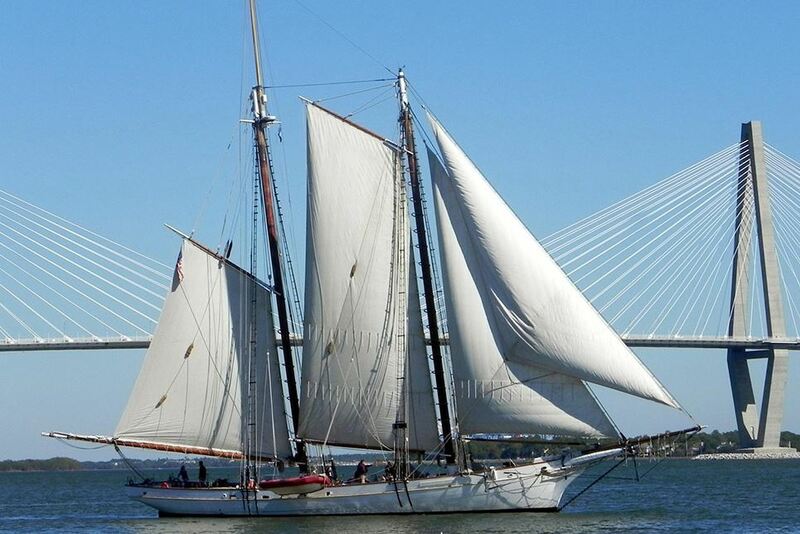 CHARLESTON, S.C. –Citadel cadets and students will learn about leadership and teamwork while studying, living aboard and helping crew Charleston’s iconic Spirit of South Carolina schooner through the college’s new The Citadel at Sea program. 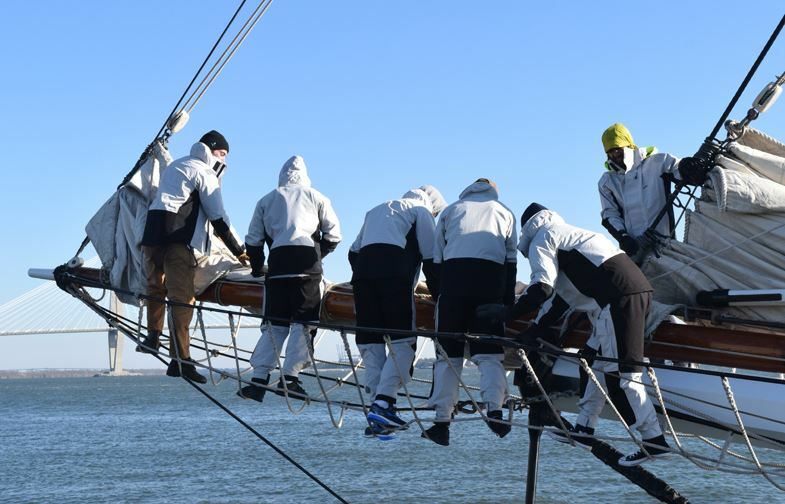 The first full-semester program on the Spirit begins Jan. 18 when the 15 students participating begin learning their way around the ship and take a practice sail in Charleston Harbor. After numerous days of onboard and classroom training, the student crew will help launch the ship at 10 a.m. on Sunday, Jan. 21, taking it from the Port of Charleston to ports in the Caribbean and back in April, for a learning adventure that spans four months. The Citadel has partnered with the Spirit of South Carolina to offer classes and full-semester programs about maritime commerce, culture, history and ecosystems. The Spirit is a 140-foot traditional schooner that is part of the tall ship community which uses maritime activities for education. The spring 2018 semester course focuses on the social, political and economic aspects of Caribbean island countries, in addition to the lessons learned from life aboard a two-masted, wooden pilot schooner. As the program progresses the ship’s crew will give the students increasing responsibility for running the ship. Citadel professors will meet the ship at the ports-of-call, including the Bahamas, Cayman Islands, Dominican Republic, Jamaica and Puerto Rico to provide tours and instruction, as well as to lead the students on service-learning experiences. In addition to earning nine credit hours for the course, students will have the opportunity to earn credits for biology, leadership and sailing during their study abroad semester at sea. The Citadel at Sea is planned as on-going program operated by the college’s Office of Study Abroad that will include excursions to Bermuda in May and then to New England and eastern Canada in the fall of 2018, as well as other future destinations. Shorter one or several-day programs are also planned, such as the inaugural class in the fall of 2017 which lasted three days. The fee for the full semester programs is approximately $500 in addition to what a cadet or student pays for one semester’s overall tuition. The cost of participating the shorter programs varies. The Citadel has cadets and students studying in more than 20 countries, and in domestic locations such as Washington, D.C. For more information about The Citadel at Sea program please contact The Citadel Office of Study Abroad, International, and Domestic Programs by calling (843) 953-4915, or by emailing studyabroad@citadel.edu.